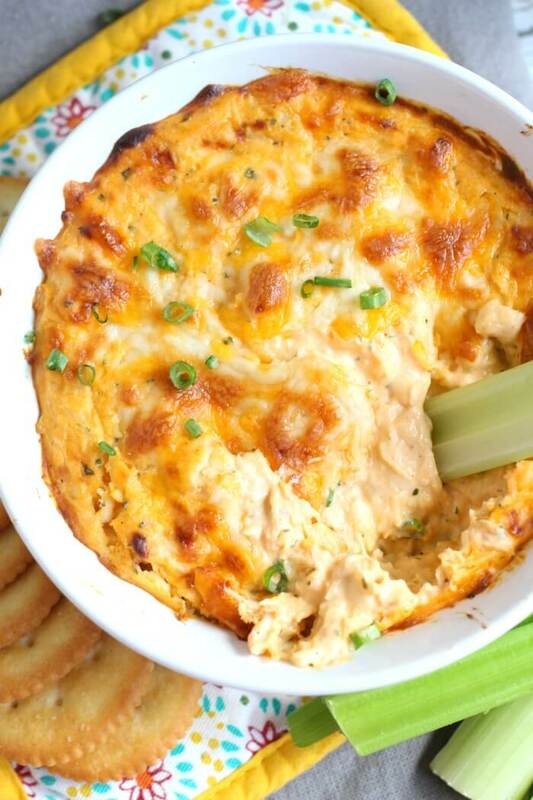 Buffalo Chicken Dip is a favorite party recipe or game day recipe in our house. It comes together so quickly, but I also love being able to fix it ahead of time and keep it in the fridge until we’re ready to eat. 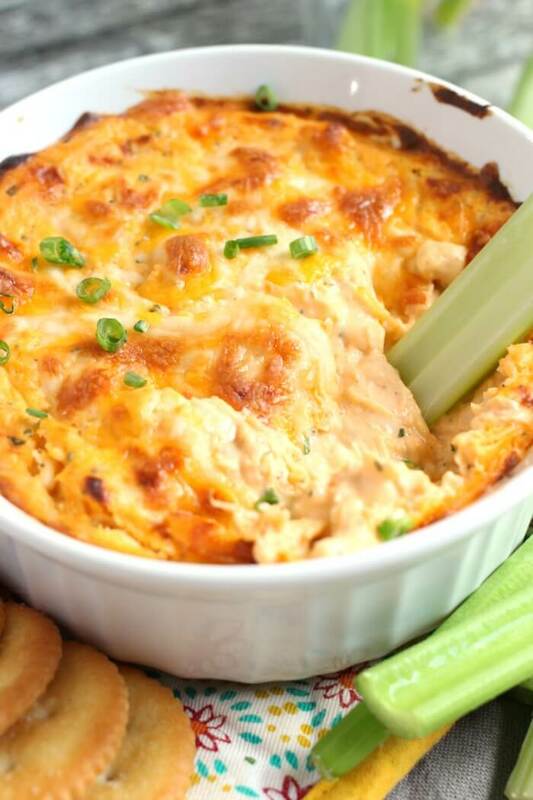 We serve our buffalo chicken dip with this homemade cracker recipe, celery, and potato chips. I also like to make cream cheese dip and spicy meatballs if we’re having a few friends over! 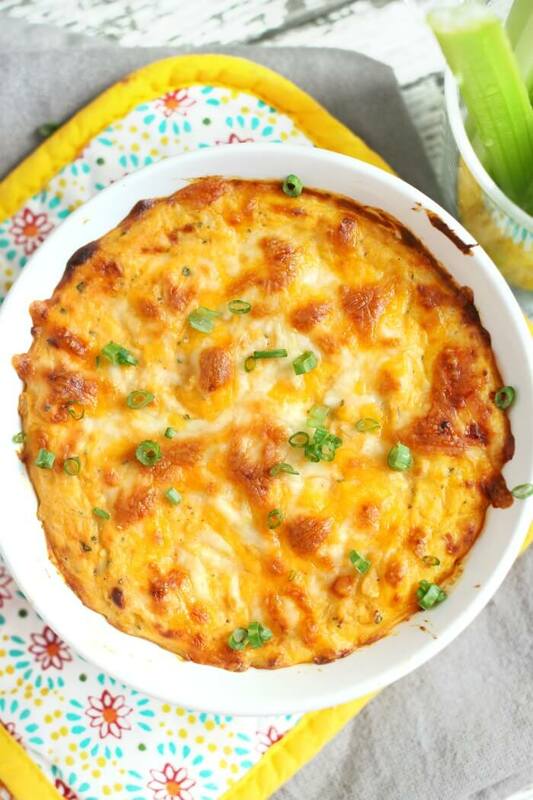 This Buffalo Chicken Dip was developed in collaboration with Mirum. All opinions are that of Mama Loves Food. Cream cheese – I like regular cream cheese in this – it adds a fullness of flavor and takes some of the edge off of the hot sauce. If you’re looking to cut some calories though, this can be made with low fat cream cheese. Chicken – I know it’s not always the most popular option, but this recipe works great with canned chicken! If you’re not into the canned stuff, try a rotisserie chicken or make a quick tray of baked chicken. Hot sauce – You can add more if you really like to turn up the heat, but I think we put just the right amount of hot sauce in our recipe. We use the type of hot sauce that you would add to a wing sauce recipe. Ranch seasoning – A packet of ranch seasoning is my secret ingredient in this recipe. It adds all the flavor without making the recipe runny, like if we were to add a bottle of ranch dressing. Cheese – A little shredded cheese mixed in and some over top to give that bubbled brown delicious crust. Mmmmm. First, in a large bowl combine cream cheese, chicken, hot sauce, ranch seasoning, and 3/4ths of the shredded cheese. Mix well. (I like to use an electric mixer for this part). Next spread the buffalo chicken dip mixture into an oven safe dish. If you want to get the browned bubbly cheese on top, use a broiler safe dish. Spread everything around evenly with a knife or spatula. Finally sprinkle the remaining cheese over top and bake until everything is hot and delicious. If you want, turn the broiler on for a few minutes at the end. 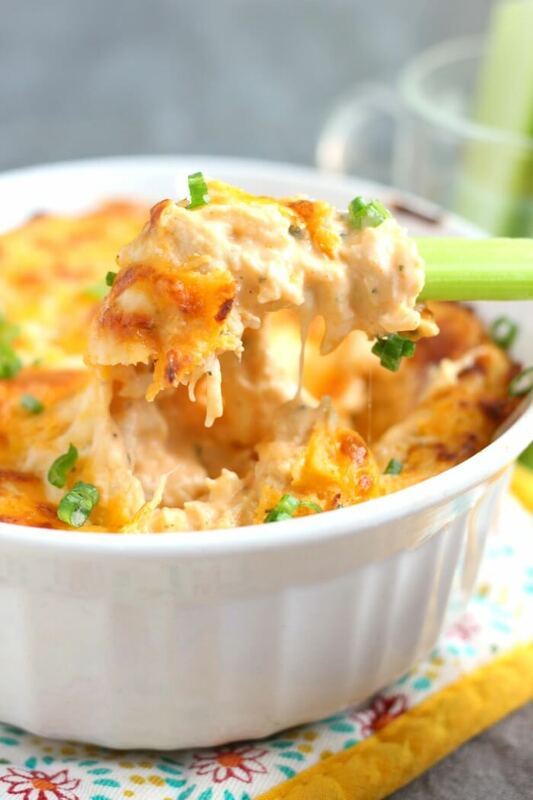 Don’t Get Heartburn from Buffalo Chicken Dip! Buffalo chicken dip is so delicious, but the combination of cheese and hot sauce can be brutal on folks like me who suffer from heartburn. 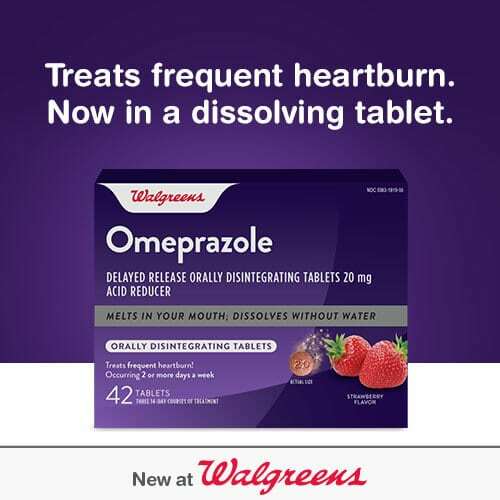 But now there’s the new Well at Walgreens Omeprazole Orally Disintegrating Tablet (also known as Omeprazole ODT) at Walgreens – a brand NEW innovation for treating heartburn! Ever since having my kids, I’ve been plagued by heartburn when I eat rich foods, or if I eat close to bed time. As a recipe developer, those things are hard to avoid! 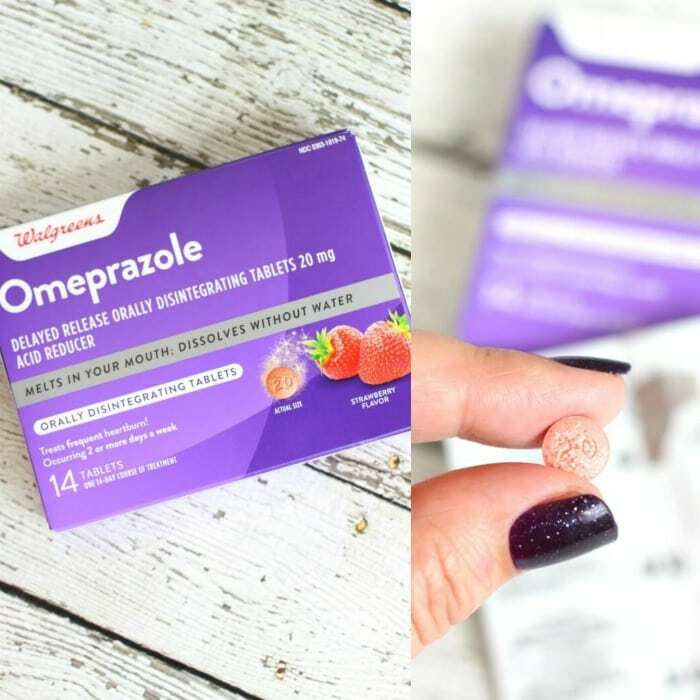 For heartburn sufferers, swallowing a pill can be taxing, which is why the orally disintegrating tablet, Omeprazole is a game changer. And I love being able to buy Well at Walgreens Omeprazole ODT at Walgreens, because Walgreens is close to my house and has great savings! THIS ARTICLE IS NOT INTENDED TO GIVE MEDICAL ADVICE. CONSULT A PHYSICIAN BEFORE BEGINNING ANY NEW MEDICATION. We cook our buffalo chicken dip in the oven for about thirty minutes. This can vary depending on the size and depth of your pan. Typically a deep pan will need to cook longer, while a larger shallow dish will take less time. Remember, the ingredients are all pre-cooked, so we’re just heating it up for texture and flavor. If you want to make this buffalo chicken dip in the crock pot, you’ll just need to add all the ingredients to your slow cooker after they’ve been mixed together. Spread it evenly, then top with the rest of the cheese. Cover and turn on low for about 30 minutes. It’s easy to lighten up buffalo chicken dip. First you’ll want to baked chicken breast, use low fat cream cheese, and low fat shredded cheese, then serve it with an assortment of your favorite veggies! I like to use celery and sliced sweet pepper because they’re perfect for scooping up lots of yummy dip. The ketogenic diet is a high-fat, adequate-protein, low-carbohydrate diet. 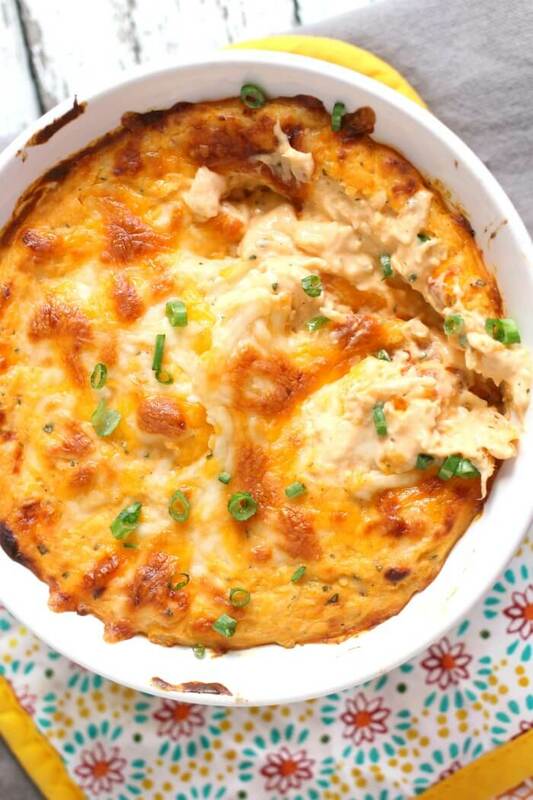 The ingredients we use for our buffalo chicken dip are high in fat and protein, so yes buffalo chicken dip is keto friendly. 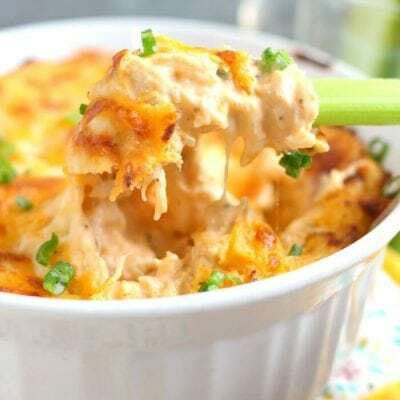 Buffalo chicken dip will stay good for 3 – 5 days in the refrigerator. 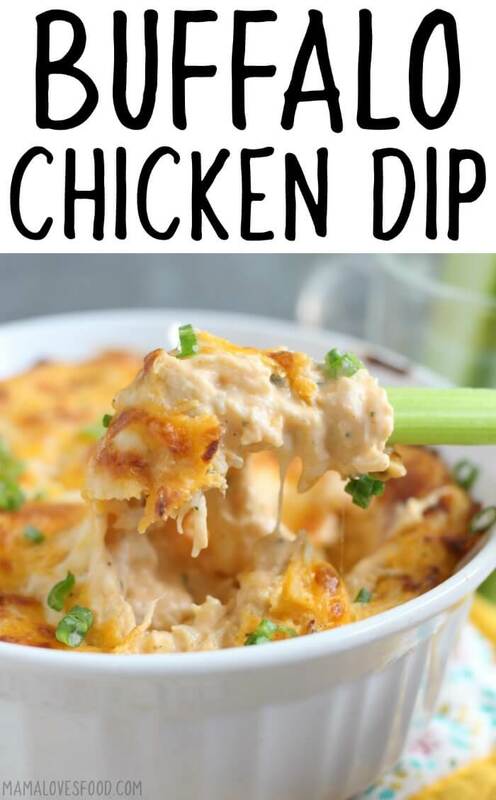 You won’t want to keep it longer than that because there is meat (chicken) in the dip. If you want the buffalo chicken dip to last longer, your best bet is to pop it in the freezer. When it comes out just give things a good stir if the ingredients have separated a bit. Then pop it in the oven or microwave to heat. You’ll want to store buffalo chicken dip in an air tight container in the refrigerator or freezer. This dip contains both dairy and meat, so if it is left out for too long it will go bad. If you have leftovers from a party, make sure that it wasn’t left out for more than two hours. If it was, then throw the leftovers away to avoid getting sick. Calphalon everyday pan – This is a 12″ two handled pan that you will use pretty much every day. Which, of course is why it’s called an everyday pan. I have this one and the Le Creuset version. I use a whole lot of pots and pans in my line of work (apologies to my husband, the dishwasher!) and these are by far my most frequently used pans. In a large bowl combine everything except 1/2 cup of reserved shredded cheese. Mix well. (I like to use an electric mixer). Spread evenly into an oven safe dish with a spoon or spatula. If you plan to broil at the end, make sure your dish is also broiler safe. Sprinkle remaining cheese over top and bake at 350 degrees on middle oven rack for 20 - 30 minutes, until everything is heated through. If you want to get the top bubbly and a little browned, turn the broiler on for 2 - 3 minutes, watching closely to make sure it doesn't burn. Omeprazole ODT is designed to treat the symptoms of frequent heartburn (meaning 2 or more days a week). Omeprazole ODT with MELTech TM allows the tablet to dissolve on your tongue easily. This tablet works like the current Omeprazole tablet currently available but in a new form – a dissolving tablet. No glass of water needed for this tablet; take it on the go with you. Omeprazole ODT provides 24-hour relief from heartburn. Due to its long-lasting protection, this tablet is an ideal choice for frequent heartburn sufferers. 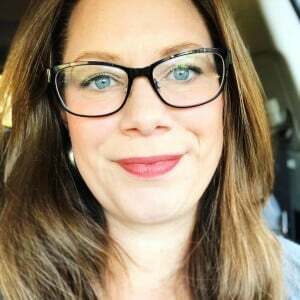 You should not​ take Omeprazole Orally Disintegrating Tablet for more than 14 days or more frequently than every four months unless directed by your doctor. Strawberry-flavored, for a pleasant taste. OMG! This recipe is fantastic! All those spicy, hot flavors that go into buffalo chicken in one ooey gooey bowl of deliciousness! Perfect for football weekends or cocktail parties. This is seriously one of the best hot dips I have ever eaten! It’s got it ALL goin’ on!! 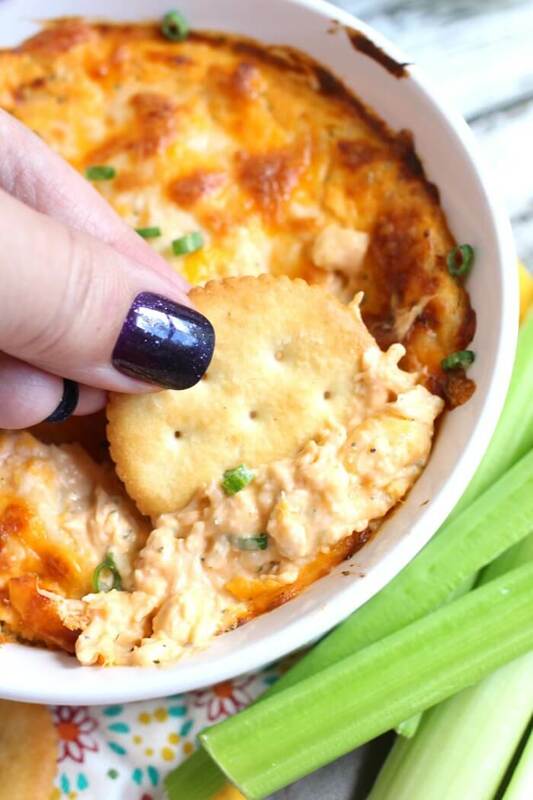 Buffalo Chicken Dip is my go-to game day snack! This recipe is incredible!